Cardiac Heater Cooler Device Lawsuits | Simmons and Fletcher, P.C. 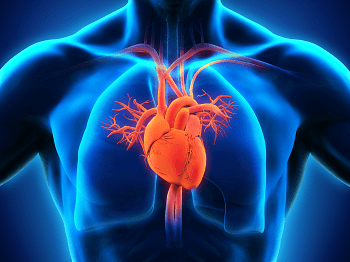 Have you undergone cardiac surgery within the last 5 years? Were you diagnosed with a nontuberculous mycobacteria (NTM) infection afterward? Patients are filing lawsuits against product manufacturers Sorin and LivaNova, for infections they developed as a result of using the Sorin 3T Heater-Cooler System. In February 2018, 39 federal lawsuits from across America were combined into a multidistrict litigation (MDL) in Pennsylvania federal court. If you or a loved one has developed a nontuberculous mycobacteria (NTM) infection following the use of this device in an open chest surgery, call 800-298-0111 today. Speaking with an experienced products liability attorney will help you determine the best way to handle your claim. What is a Heater Cooler Device? Heater-cooler devices are frequently used during cardiac surgery to maintain the appropriate blood temperature. They are especially useful during cardiothoracic surgeries that involve the intentional and temporary stopping of the heart and lungs. The device includes a water tank that separates warm and cold water; as well as, a heating and cooling unit that allows air to flow in and out. A heater-cooler device works by supplying hot and cold water to heart-lung machines and other medical devices necessary for controlling body temperature during surgery. In June 2006, the FDA approved the Stockert 3T Heater-Cooler System as a Class II device. According to their definition, Class II devices, “are higher risk than Class I and require greater regulatory controls.” Between 2010 and August of 2015, the FDA received numerous reports of patient infections from Heater-Cooler devices that were contaminated. “There is the potential for organisms (including NTM) to grow in the water tanks of any heater-cooler device. Contaminated water from the heater-cooler device has the potential to aerosolize into the operating room during surgery. This may lead to infection, primarily in cardiovascular patients undergoing open-chest surgical procedures. Heater-cooler device lawsuits are not as common as most product liability claims being made, but that doesn’t mean patients who develop this infection aren’t protected. Understanding your rights is the first step you can take to protect yourself, call 800-298-0111 for more information. Plaintiffs who filed lawsuits against the Soring 3T Heater-Cooler System claim that the device caused a rare, slow growing infection under the NTM umbrella. If you or a loved one has developed an infection due to the use of a cardiac heater-cooler device, you may be entitled to compensation for your damages. Call 800-298-0111 for a free case evaluation with product liability attorney.